If you’ve ever had the pleasure of seeing Carl Cox live, then you’ll have already experienced the sounds of Joe Brunning. Although his name may not be a household one just yet, his track ‘Let Me See You Work’, became a big tune for Carl Cox. 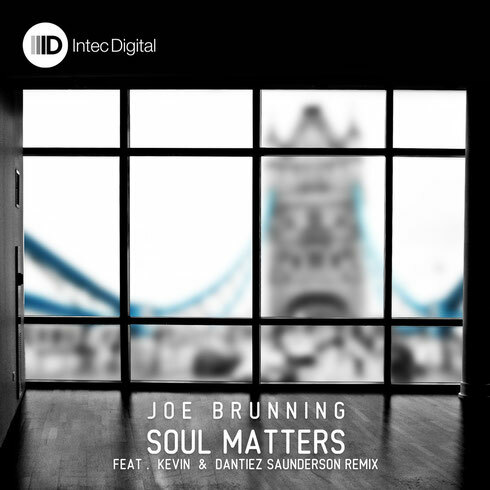 Joe Brunning had an even bigger ace in the hole with his debut album ‘Soul Matters.’ Immediately recognising the potential of the album, Carl signed it to his imprint Intec Digital. The first single off the forthcoming album is the title track ‘Soul Matters’. Boasting the original album version along with a remix from father and son duo Kevin and Dantiez Saunderson, the package is a good one. Joe makes songs that tell a story and ‘Soul Matters’ has a journey that perfects the balance between dancefloor and personal listening.